I took my brother-in-law George to a secret fishing spot on the Pigeon River one time even though it was a crazy thing to do. 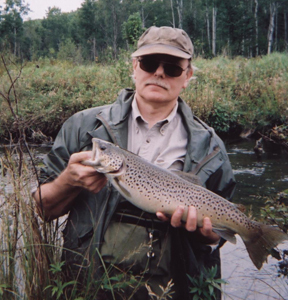 George was an expert at anything fishing including the fine art of spin fishing brown trout streams. 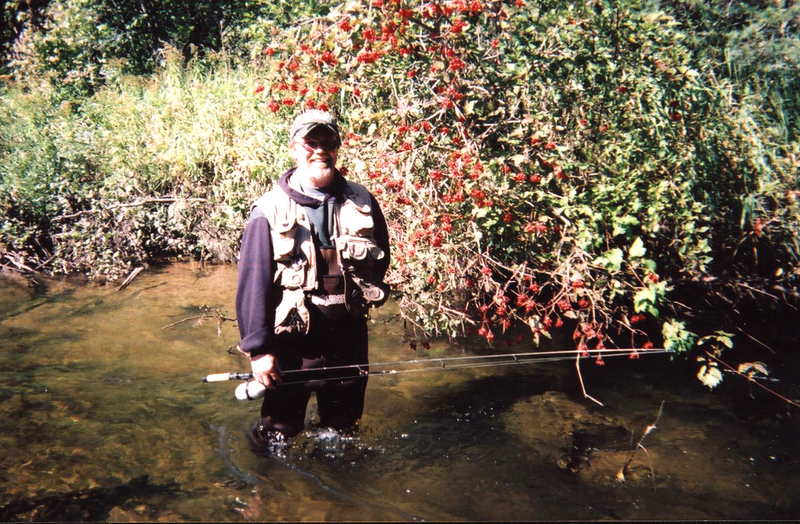 George fished fast, wading quickly upstream and tossing lures with precision. I could hardly keep up. When Feral and I fish together we are like old men, casting every hole at various angles and never in a hurry, so this was the expressway of trout fishing. George caught several trout though I can’t recall the number or size. At some point we talked about my Grandpa, Jake Lucas, and George’s feeling like he was never really accepted by Grandpa as a member of the family. I was surprised by this, though had to admit Grandpa had his own peculiar way of seeing things. So George felt like an outcast, making the sharing of this fishing spot appreciated a bit more that it’s real value. George married my little sister, Deb, and my guess is Grandpa figured no man was good enough for her, but he was wrong in that thinking. As it turned out my sister married a man of great character and strength. A kind man that adored her and supported her in sickness and health, a trial that took strength I can’t imagine. Deb had early onset Alzheimer and George contracted liver cancer while taking care of her. George passed away this week, within a month of Deb’s passing. Our whole family, and their many friends, are still trying to understand this tragedy. Just after Debby passed I asked George if he found comfort in his faith, knowing he was raised a Catholic. 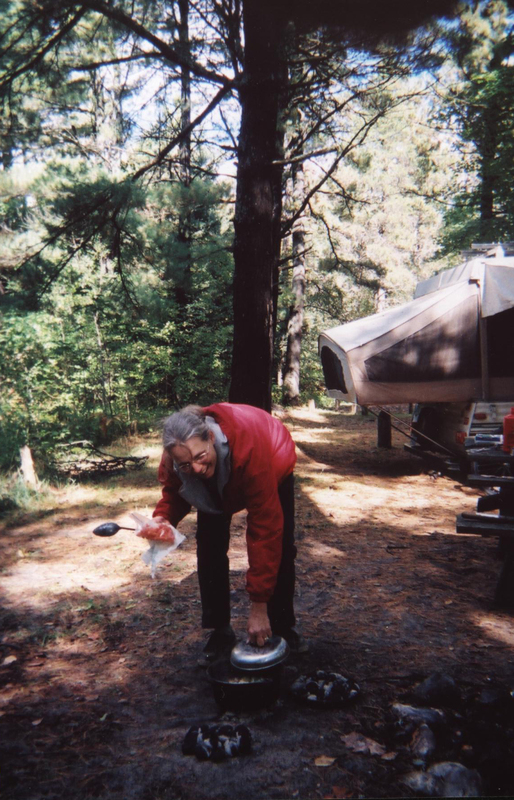 He said over the years his faith had a lot more to do with spending time camping and enjoying the outdoors with Deb rather than formal religion. I could see the truth of this. They were always off camping somewhere, kayaking, hunting, fishing, morel mushroom hunting.. if it was a fun outdoor adventure, they had a story. Feral and I ran into them once in a while at campgrounds. Up at Silver Creek up by the Pine River, and at a couple different campgrounds in the Pigeon River state game area. It was always fun to see them. They’d invite us to supper, usually wild game like venison stew as in the photo below. They would load up a dutch oven and set it on coals, bingo, dinner ready later in the day. I wish I would have spent more time with them but receive some comfort knowing they led the life that mattered to them, raised a wonderful family, and had many friends. They were loved and will be missed.